And ongoing weekly GTA Online bonuses highlight the enormous breadth of available undertakings. Be on the lookout for more of these throughout the fall as well, including continued opportunities for bonus GTA$ and RP in select activities, valuable discounts and new weekly Premium Stunt Races. Can't wait! Join the chat in the forums! They didn't even hint at a season so it could be next year for all we know. When is this actually gonna happen if it even does happen. Biker DLC Coming to GTA Online - Fans begged for it and now Rockstar will deliver! 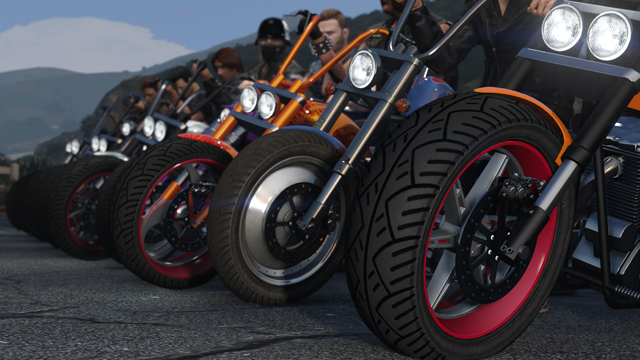 Biker DLC is coming to new-gen GTA Online.